Explorer Blackout, V/XPL/FB Shaped Guitar from Gibson in the Explorer series. 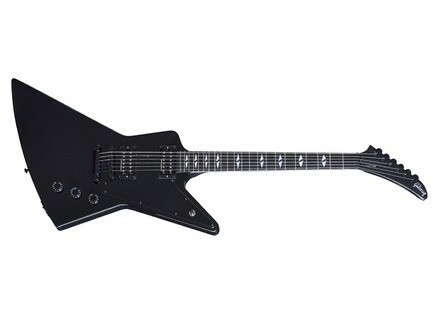 Gibson introduces an all-black Explorer guitar pushed to the extremes of shredding with a dual Dirty Fingers humbuckers. MSRP of this new Gibson Explorer Blackout is $1,999. More info at www.gibson.com. New Jimi Hendrix UniVibe Tribute edition Jim Dunlop launches a new custom edition of its Jimi Hendrix Tribute UniVibe pedal, that you can find under reference JHM3EHT. TC Electronic X-Mas Giveaway TC Electronic will offer on guitar or bass product each week until December 25th, it’s Christmas time! 9 new organ sounds on the EHX C9 Electro-Harmonix completes its organ sound emulations for guitar with the new C9 Organ Machine.